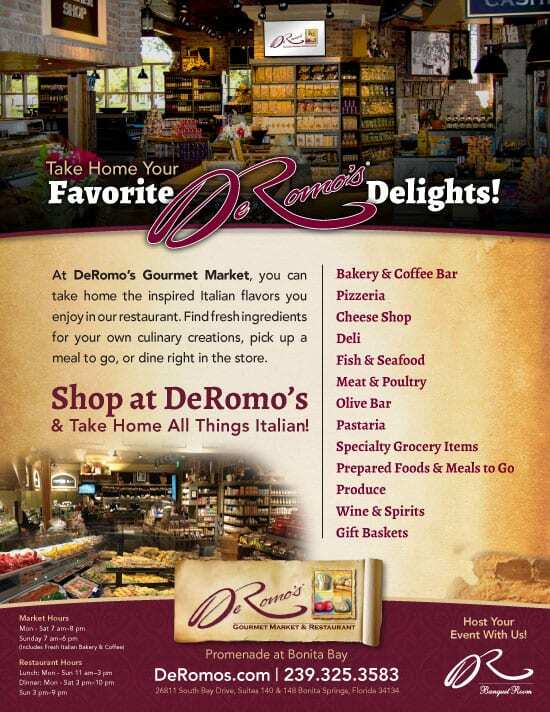 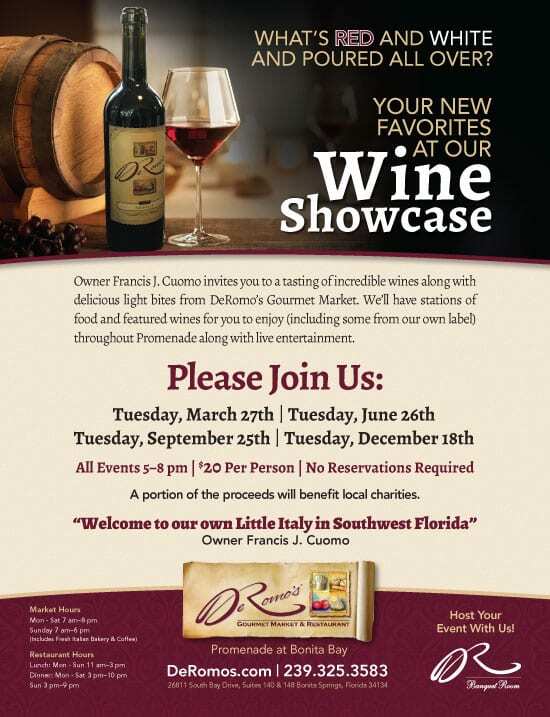 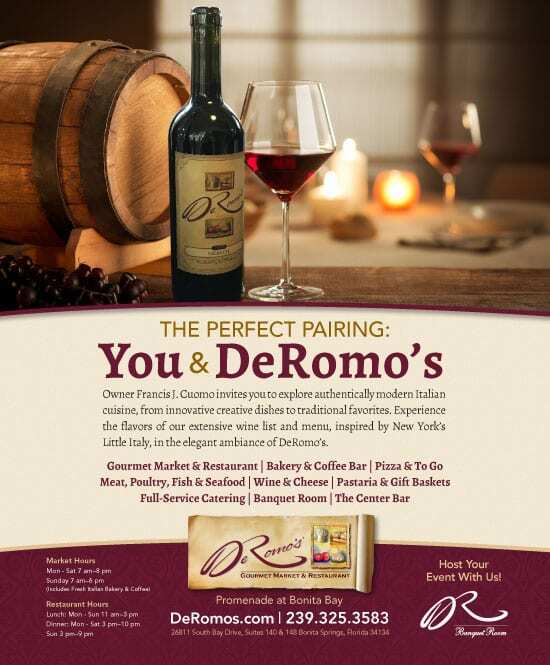 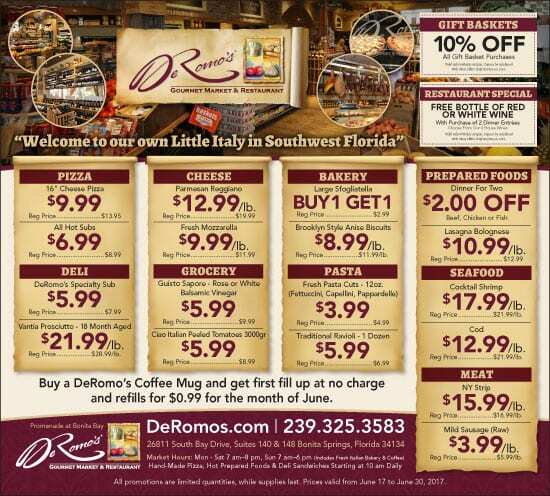 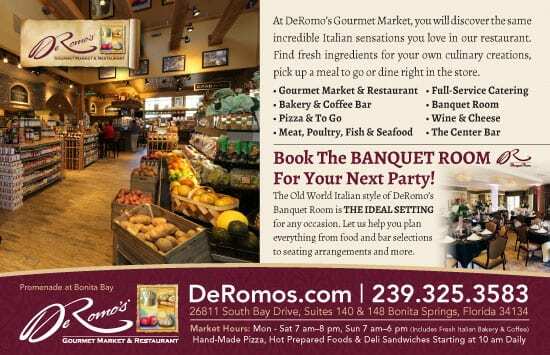 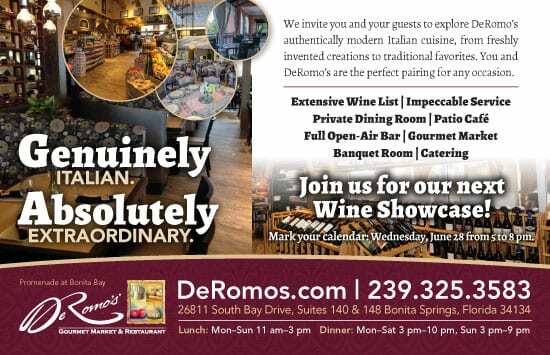 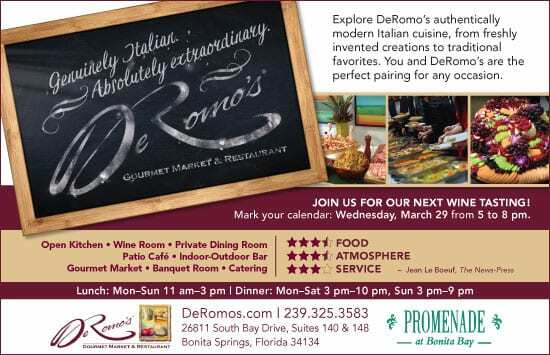 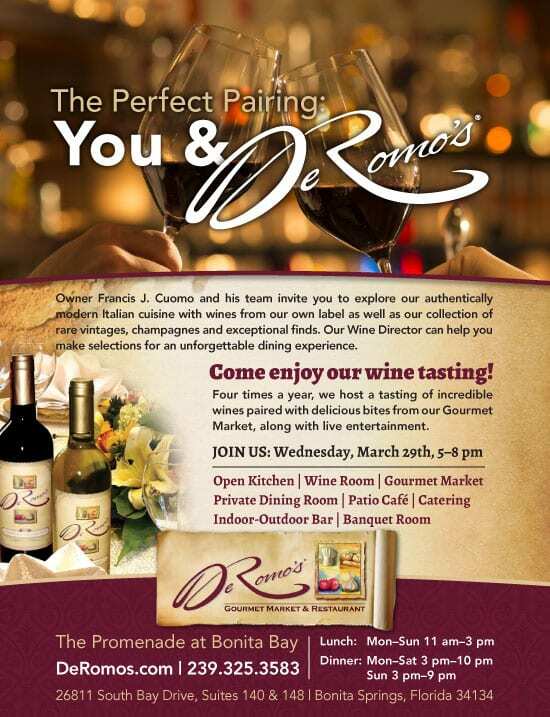 DeRomo’s Gourmet Market & Restaurant, located in Promenade at Bonita Bay, is a premier shopping and dining destination in Southwest Florida, with a dedication and passion for outstanding food and unsurpassed service. 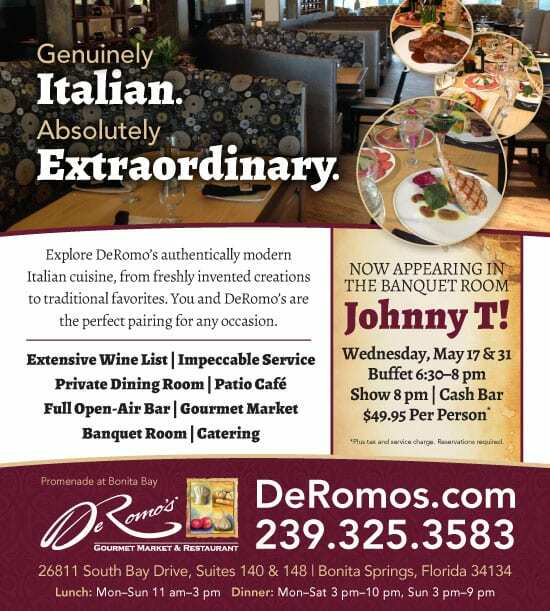 Their 275-seat casual dining area serves extraordinary flavors with a comfortable outdoor seating area and open bar also to be enjoyed. 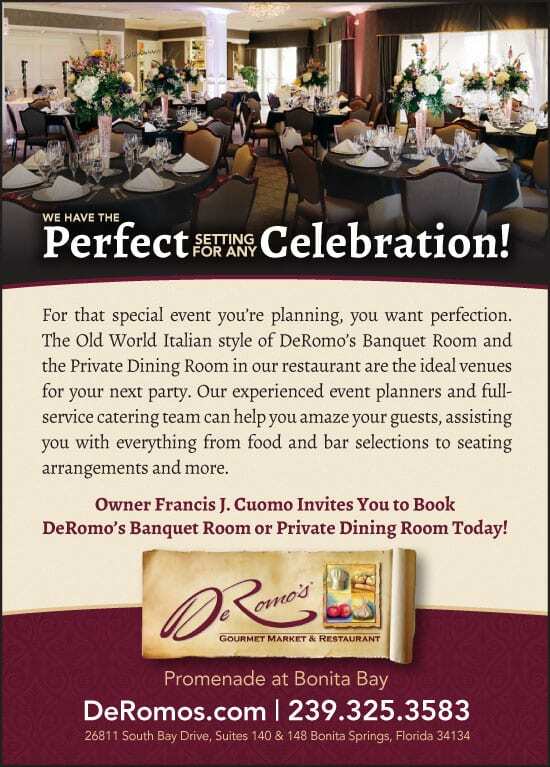 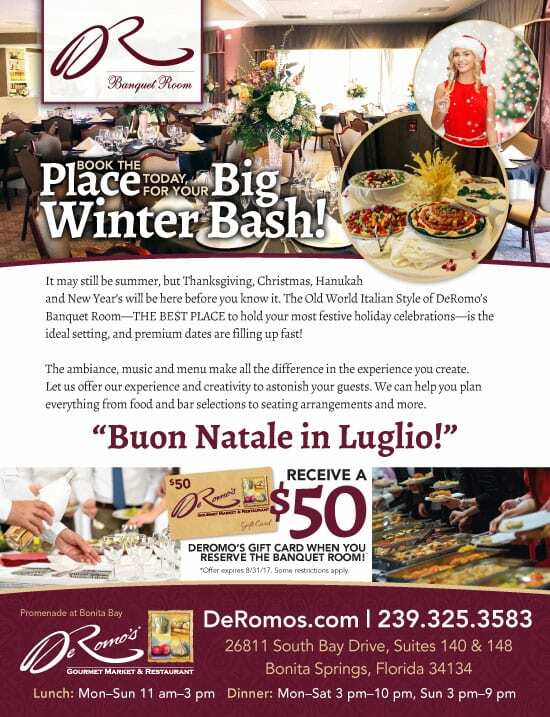 Additionally, DeRomo’s Banquet Room offers an eloquent banquet & event hall, perfect for weddings, holiday parties, anniversary and other celebrations. 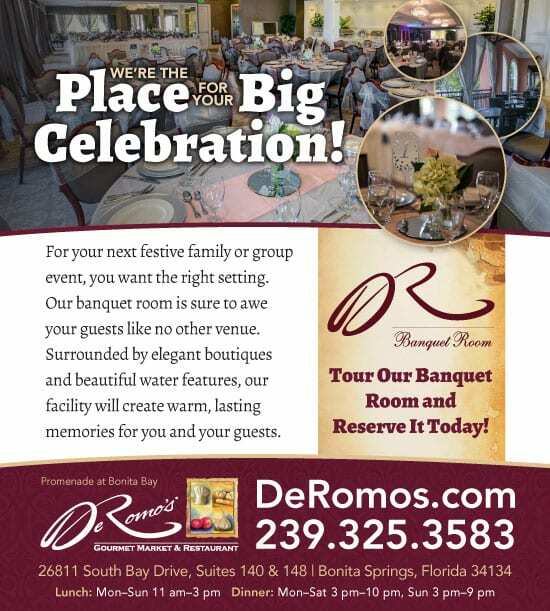 Spiro & Associates provides ongoing marketing communications expertise through creative advertising via myriad media, POP signage, check presenters and other iterations.